We live in a fast paced world. There is no doubt about it. We value every second of our time because lets face it – there’s just not enough time in the day. We are becoming extremely good at multi tasking and unfortunately time in the car has become a place where we can catch up on our texts, social media posts, or a call to mom and dad. Expanding technology makes this easier for us to jump on our Bluetooth, or voice to text and not think twice about how that moment of distraction could impact our lives forever. Motor vehicle fatalities are up 6% from 2015 and more than 40,000 people were killed on our nation’s roadways last year, with distracted driving being a major contributor. • When you send a text, you take your eyes off the road for about 5 seconds. That’s the time it takes to drive the length of a football field going 55 MPH! (U.S. Department of Transportation). • At any moment during the daylight hours, about 660,000 drivers are handling cell phones or other electronic devices while driving in the U.S. (National Highway Traffic Safety Administration). 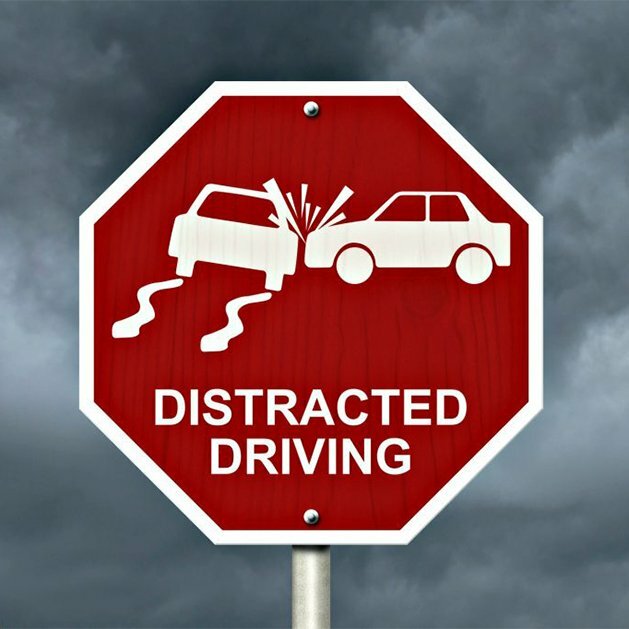 • You are 3 times more likely to get into an accident when distracted driving by manipulating a mobile device (Virginia Tech Transportation Institute). So what steps can we take to lower these statistics? • If you need to use your phone, pull off on the side of the road. • Adjust your stereo or set your music playlist before you begin your journey. • Don’t allow the passengers in your car to become a distraction. • If you are a passenger in someone else’s car, don’t be afraid to speak up if you see them texting and driving. • Is this text more important than my life? • Do I really need to be putting my make up on right now? • What do I need in my bag/purse at this moment that I can’t wait until I am stopped to grab? • Can I sit through this song instead of taking my eyes off of the road to change it? • Is road rage necessary? Will that change the outcome of the situation? The next time you venture out on the road, just remember that driving distracted is 100% preventable. You are in control of not only your life, but also others around you. If you have any questions, as always, feel free to contact your friends at the Carbondale Fire District.